Early this week, Concordia announced the commitment of three new recruits to its women’s soccer program’s rookie class. Joining the team for training camp will be Kathleen Hilario, of Blainville, Que., alongside Vanessa Morin of Ottawa, Ont. The two young midfielders will be joined by defender Fallon Campbell of Carmel, NY. Hilario is a recruit out of Association de Soccer Blainville of the Ligue Elite. She has captained the team for the past six years. She will be joining Blainville’s semi-pro team in the inaugural season of the Première Ligue de Soccer du Québec’s women’s league this summer. The midfielder will be pursuing a Certificate of Community Service in the fall. 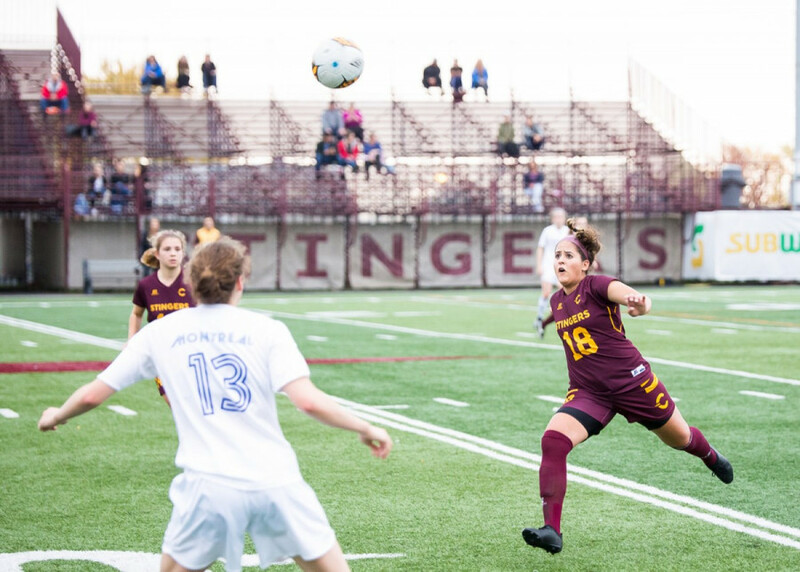 Fellow midfielder Vanessa Morin is an all-round athlete with an additional background in a multitude of sports, such as rugby, skiing, and cross-country. The young athlete is currently a member of Ottawa South United of the Ottawa Youth Soccer League, and will be pursuing a Psychology degree with a Specialization in Behavioural Neuroscience at Concordia. Defender Fallon Campbell is an accomplished student-athlete who has been a starter with her high school team, the Carmel Rams, since her sophomore year. She has also been a member of club team Quickstrike Football Club since 2013 and has won three championships with the club. Campbell is enrolled at Concordia in the Fine Arts Department, where she will study Art Education, Visual Arts.